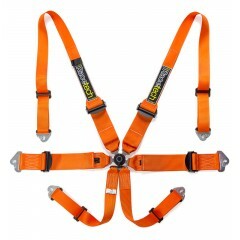 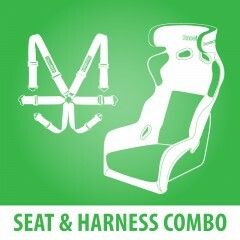 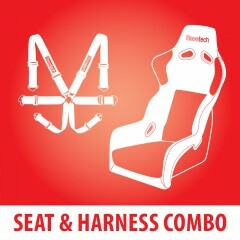 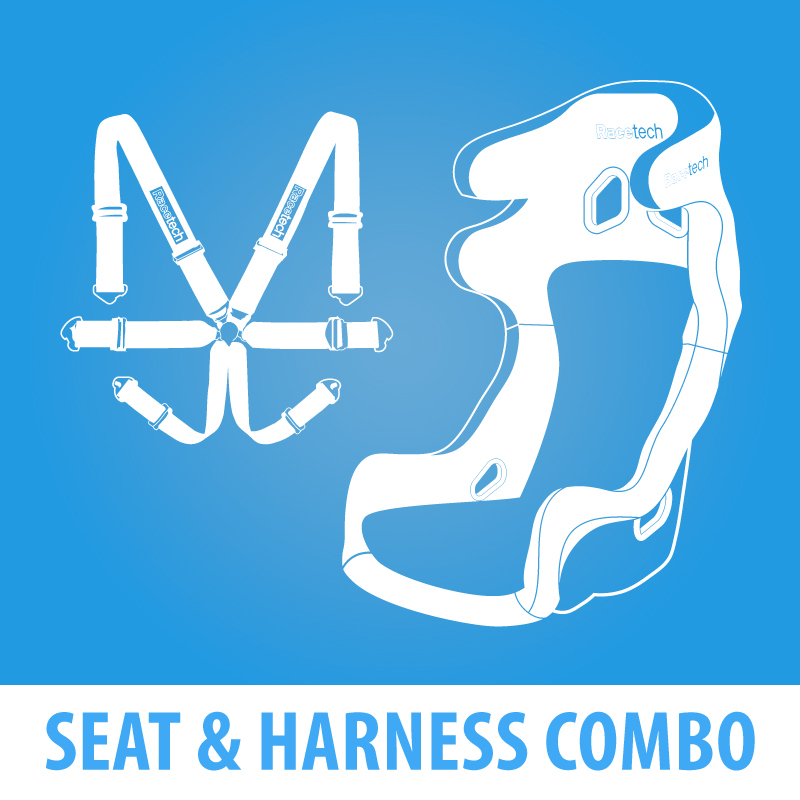 Professional Seat and Harness Combo - You Save $245! 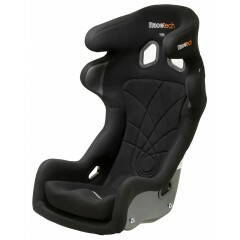 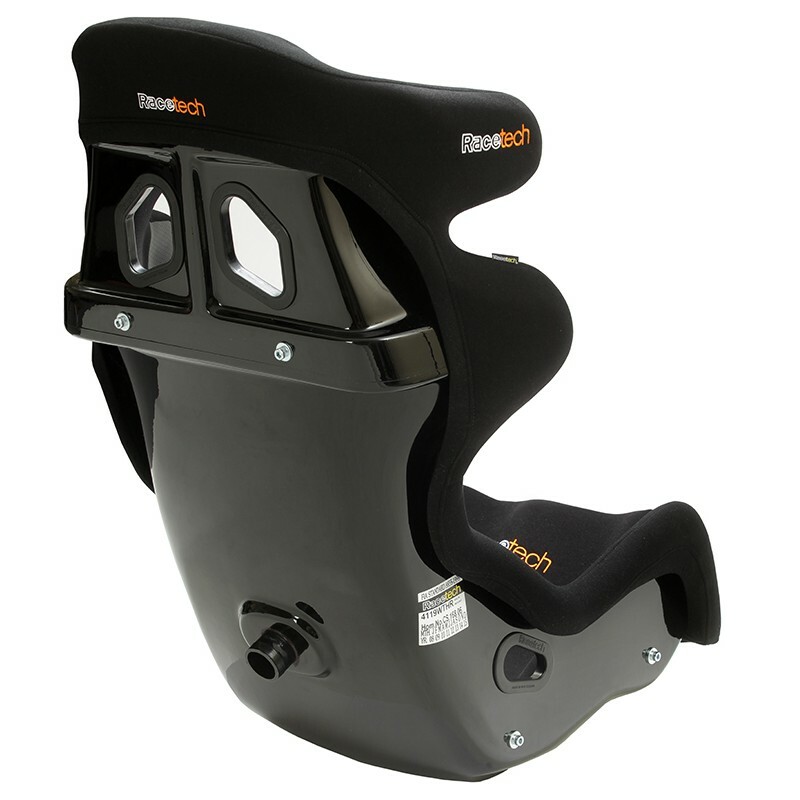 Pimp your new track or gravel weapon with a Racetech 4119 series FIA-approved race seat and Racetech Pro Lightweight Hans 6-point harness in this pro package deal. 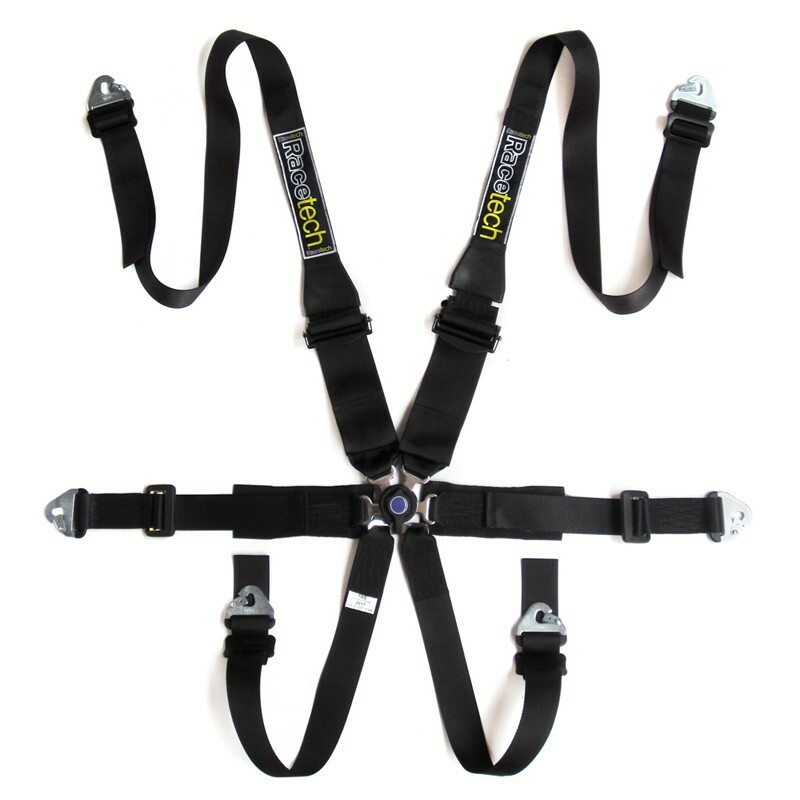 Harness available in black only. 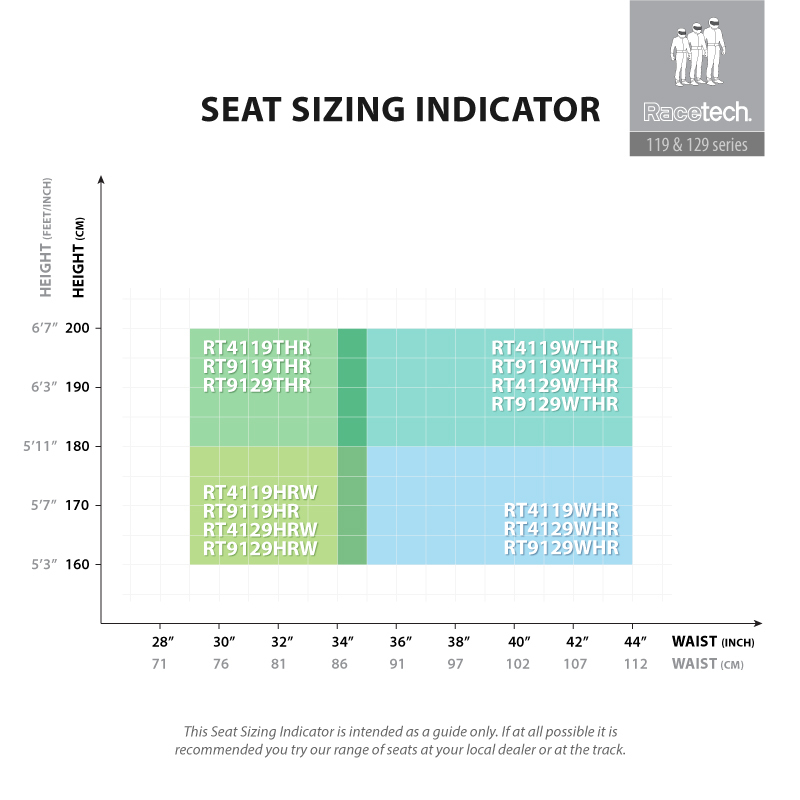 Choose your preferred seat size from the dropdown list above.